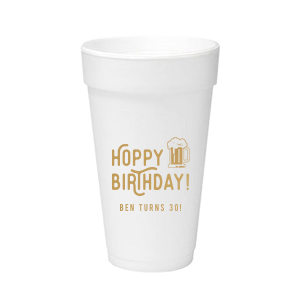 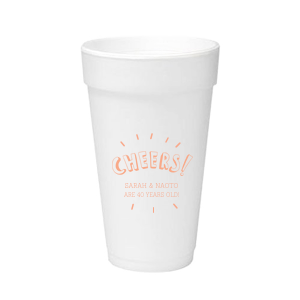 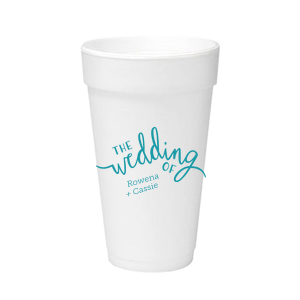 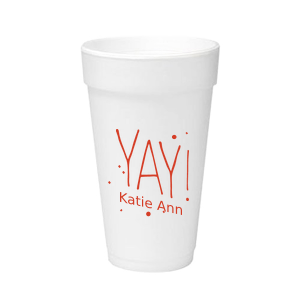 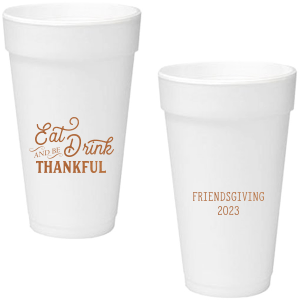 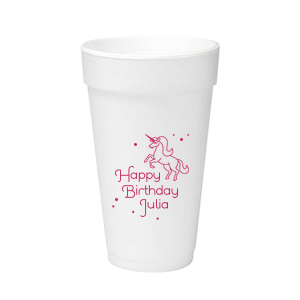 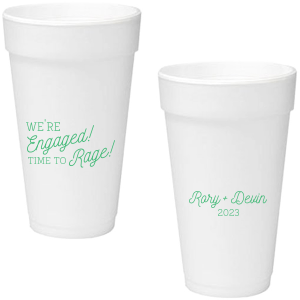 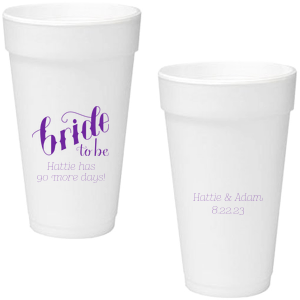 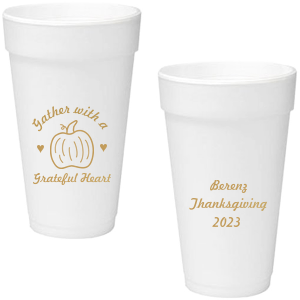 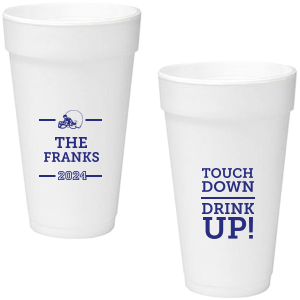 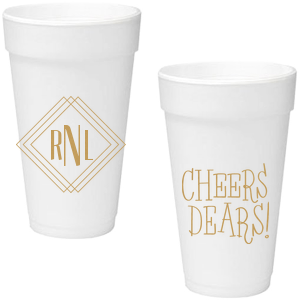 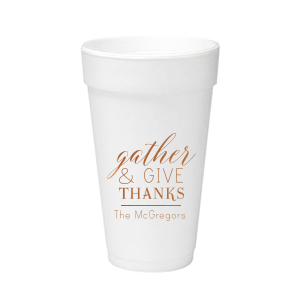 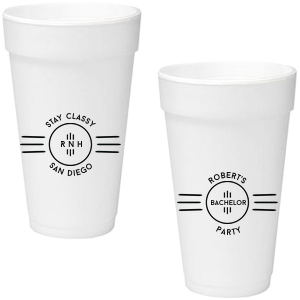 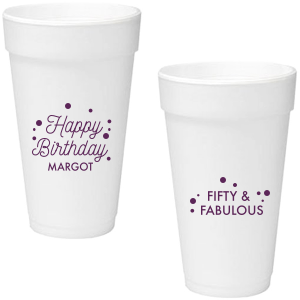 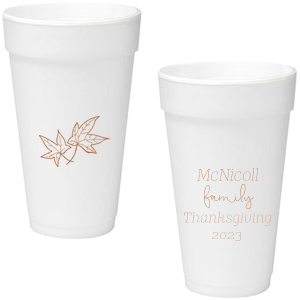 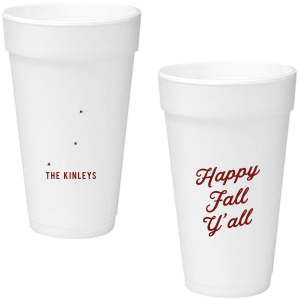 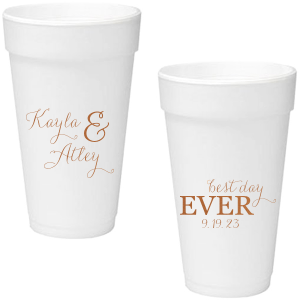 Custom cups make fantastic additions to parties and special events. 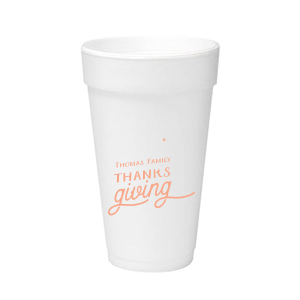 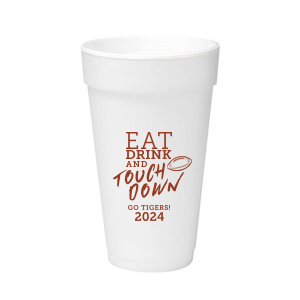 These 20 oz foam cups will keep hot drinks hot and cold drinks cold with a festive touch. 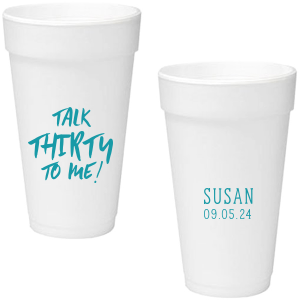 Personalize with your name, quirky saying and theme color for a detail sure to impress.